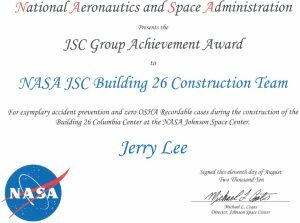 “zero OSHA recordable cases” recognition. We attribute our safety performance to the professionalism of our ground personnel, the expertise in their respective fields and LMC’s steadfast management of all jobs. LMC Corporation enjoys a longstanding relationship with one of the world’s largest surety underwriters and has earned a bonding capacity in excess of $20 million dollars. We are proud to state that since opening our doors in 1989 our underwriters have never had to pay a claim on our behalf and we have never received a notice of default to terminate a contract. When working with LMC you can rest assured that you and your project are in good hands.